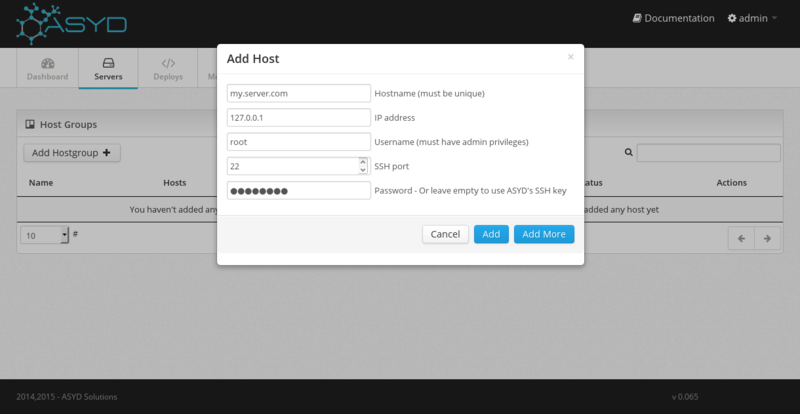 Add hosts and host groups using a practical web interface. 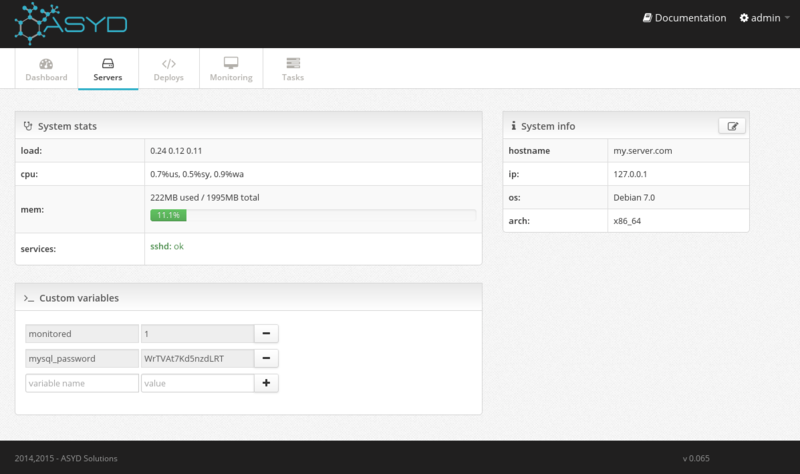 With ASYD you can do everything from this interface. Access your systems from any internet-connected device. 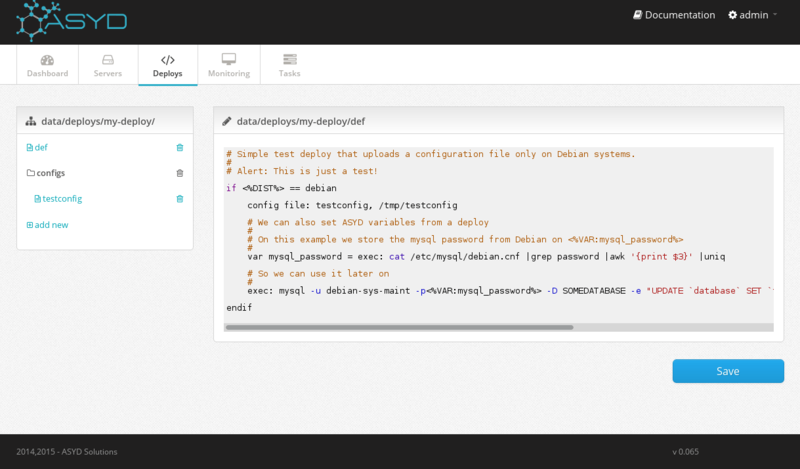 Deploy is the name we give to the deployment scripts (recipes, playbooks, cookbooks, etc.). Use the interface for creating them. You can do the same for creating new services to monitor in it's respective section. 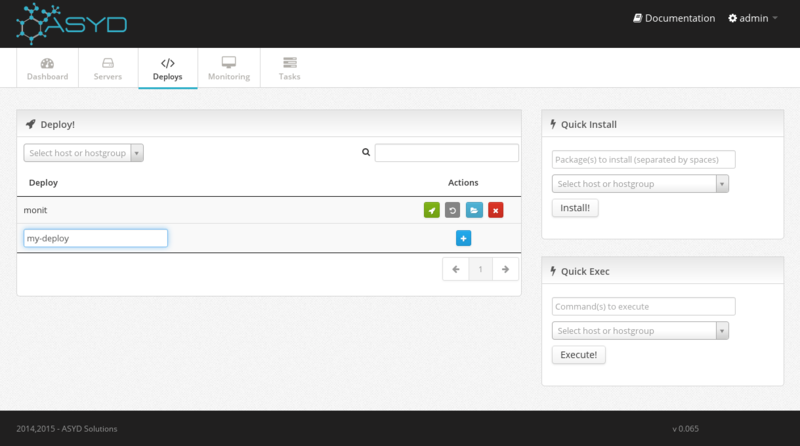 Use the built-in code editor to modify your deploy, create new files or upload configurations. 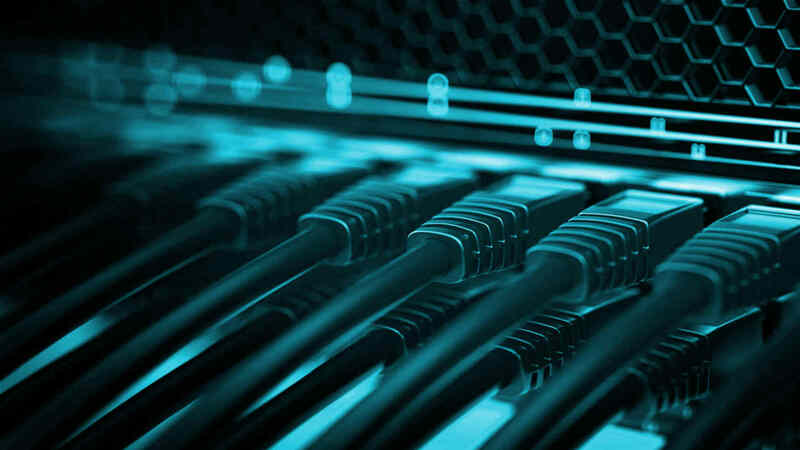 Launch your deploy to a host or host group and look at the progress. 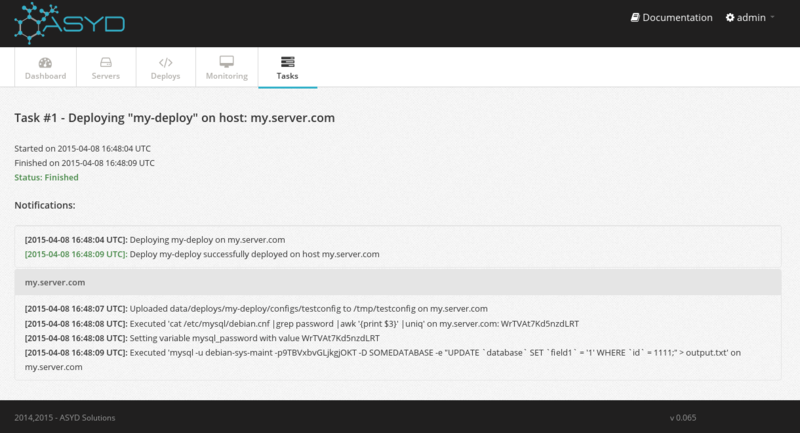 Read the notifications inside the task detail to see the output of the deploy. Look for any failures during the deployment or see the information returned. Monitor and auto-recover services using monit configurations, receive email alerts. 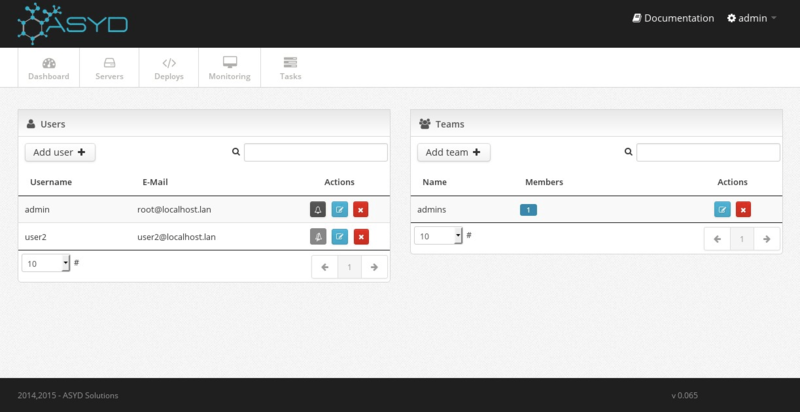 Manage your users and teams. You can easily add new users and teams (groups of users), modify their data or enable and disable the email notifications for each of them. Check out some of the characteristics - also take a look at the documentation, it's really short! You can also contribute if you like the project.